The crime writer Patricia Wentwoth was recommended to me by my cousin Anwen who is a bit of a classic crime connoisseur. I’d heard of the writer but never read any of her books. 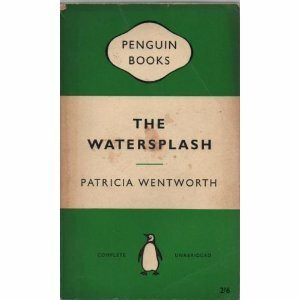 I managed to pick up cheaply from Abe Books two titles from Wentworth’s later years; The Watersplash written in 1952 and the 1955 Poison in the Pen. Both books feature Miss Maud Silver, a former governess turned private detective. She is very much in the Miss Marple mode; she knits, listens to village gossip and is in cahoots with the national if not local police. Waterplash is set in the village of Greenings where bodies keep turning up in the ‘watersplash’ (a shallow stream according to the OED – I had to look it up). It’s a classic tale from the period involving blackmail, a missing will and a love affair that seems destined never to come to fruition. Poison of the Pen was the more satisfying of the two books. This time the setting is Tilling Green, a different village, same characteristics – Anglican church which is the centre of village life, a hard-up lord of the manor, old ladies with nothing to do all day than gossip. This latter feature is a bit of a cliché but interestingly Wentworth makes reference in the book to the fact that there were two million more women than men in 1950s Britain, a fact that I was unaware of. Presumably this was the after effects of the First World War which took place forty years earlier. I think in Poison in the Pen the character of Miss Silver came across better. She is a more down-at-heel Miss Marple, wearing her ‘second-best’ hat and old winter coat. 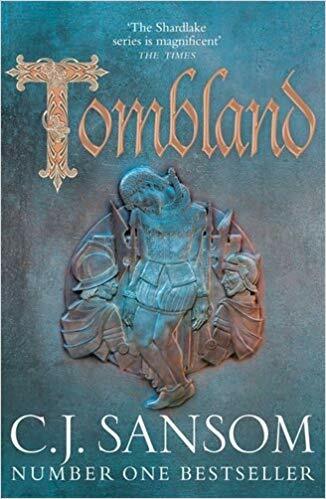 The book is very well written with wonderful descriptions of the village characters, particularly the lower class lady of the Manor, wearing ‘imitation tartan in which the predominant colours were scarlet, yellow and green. Perhaps it was all these colours that gave her a curiously hard look.’ I don’t remember Agatha Christie ever being quite so bitchy. I will definitely be reading more Patricia Wentworth. She is that satisfying mix of cosy village with sharp writing. Definitely a find. Sarah – What a fine choice for a classic crime spotlight! Patricia Wentworth doesn’t get the attention I think she probably deserves. Thanks Margot – she definitely deserves more attention, I agree. I remember reading all the Miss Silver books I could get my hands on in the local library many years ago (and I mean many). I can’t remember much about them apart from Miss Silver herself and that I enjoyed them. Thanks for the memories! Thanks Maxine. I think I have another 30 odd books of Wentworth’s to read! Hey Sarah, glad you liked her! I find her waspishness very entertaining – a nice antidote to the innate snobbishness of the period. I can’t understand why she is so little knows, but suspect it is because she hasn’t been picked up by a tv company for an adaptation. A sad comment on today’s society. I still have quite a few of these books to read yet, so happy days! It was a great recommendation Anwen. I must borrow your books sometime. Thanks for reminding me of Miss Silver – wow, that character completely fell off my radar yonks ago when I started reading Gladys Mitchell and the like – I’ll definitely chase some of them up again, sounds more fun than I remembered. Yes I did enjoy the two Wentwoth books I read. I’ve just taken a look at your site – great blog and a great title. I’ll add it to my blog roll.